Whether it is in the creativity of a new design where an artistic stroke reveals a new path in the labyrinth or in the deeper convergences of life, unexpected paths appear to take us on grand adventures and the more we become honest with ourselves in seeing our own abilities activated. Where a conditioned caution may prohibit what is natural in exploration and expansion, the infinite still calls in design, steps, education and enthusiasm to those curious enough to hear it and wise enough to follow. Today’s journey was with expediency in mind though unpopulated and without GPS in the mountains, reliance on common sense and signs of nature for guidance made it truly the unexpected path. The journey on foot used all the natural signs for success and now the test was to use it on the drive home. Realizing a sudden detour made it a much longer route with a lower level of fuel and only the sun to guide called for trust and faith. The reach for using that larger capacity came into action and by recalling a quick glance of a map, it seemed curious that this path I was on might indeed be the road less traveled. It also happened to be one I thought might be good to travel when there was more time to enjoy… and with a fuller fuel gauge. Where the condition of the unknown might create a different drive, inner knowing and the gifts of nature that made themselves gloriously present drove curiosity over calamity. The scenery instilled pure knowing and faith. When finally arriving back to home destination much later and on fumes, the realization of the gifts of the unexpected path provided much in expanding capacity for trust, faith, choice, enjoyment as well as a bounty of new discoveries to appreciation. It had made the overall experience one to celebrate. 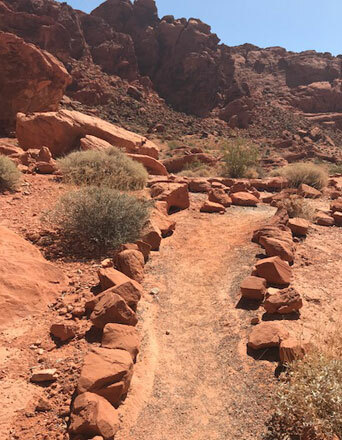 Consider the unexpected paths that have appeared, the ones you have taken and what you realized in your walk today and in your larger walk of life, observe the unexpected paths that appear today too. Welcome to the 61st day of the year and the new month of March in the calendar year of 2018. Let it become a month like none other in the exploration of the quarterly theme of Awareness to both realize and surprise yourself in what you are honestly capable of. Let this become the month of Discover, and become aware of what you put into your explorations and what you receive as result. 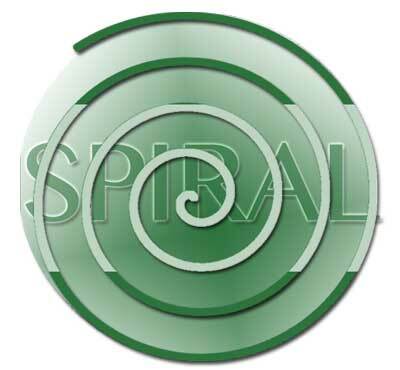 Focus on the design of the Spiral to inspire a reminder of what you put into this month and come away with. March brings with it a changing time of seasons. We welcome Spring in the last half of the the month and shrug off the winter weariness in pursuit of new growths and direction. Let it be a time to consider change and what we want to seed for the future. Our theme of honest living, reminds us of being true to exploring our greater capacities and reveling in what we discover as the rich reward of our efforts and belief. In today’s walk, the spiral intently became a focus of the walk and an introspective look at the nature of the labyrinth in use, ability and design broadened, thinking of the natural spirals in our life and Earth design. March forth into this new month eager, ready and willing to discover something new, something more to realize the natural gifts within and around us that are the simple definition of honesty. Walk with the newness of this month and observe your relationship with what you realize and what surprises you. Traveling, I look for labyrinths on the path of where I am going. Ever grateful for those who are paving the way in the world by creating, designing and developing these small journeys, I bring something of myself to each and take something awat from each. I began noticing what comes to me on the path, whether it is a leaf, stone or feather that found its way into my journey, I note its significance and take it to the next labyrinth as a gift of being and from what appears on the next keeps the cycle of going. It is an interesting adventure knowing something will always be waiting for me on the labyrinth. Traveling today was tiring with many delays and reschedules. On the last flight I looked out the window wishing I was aready home and watched as the clouds passed by to occupy time. 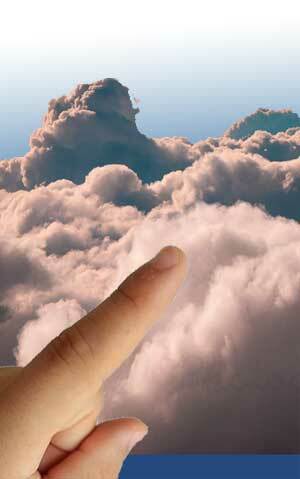 Each had a different shape and structure and in watching the scenery, my finger began tracing their shape on the window. The pattern became that of the labyrinth as moving my finger to follow the different shades of white. The first I realized was the classical design from a half round shaped cloud. Then a repeating Roman design in the box like cloud that appeared. A meander followed that from the ribbons that appeared as we moved. Finally a medieval path in a particularly complex cloud structure. Noting some clouds were fleeting, while others larger and more encompassing, created awareness for the smaller and quick designs that can be rapidly designed, as well as the larger that allowed for a little more adventure and time. It appeared that every cloud might suit a different design of the labyrinth well and it became a sort of game to see how many different designs I could remember and accurately trace on the window. I am sure the cleanup crew must have wondered, though the simple tracing gave my mind something to do that was both exercising the ability to repeat all the designs from memory and activated new and creative ideas for other designs. The Theosophical Society labyrinth makes me want to play. 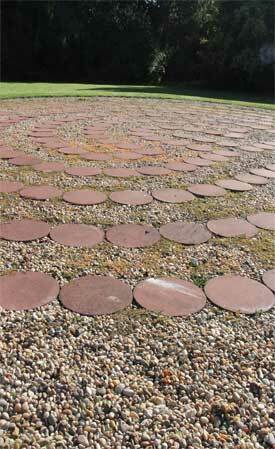 The round stones that make up the borders bring the idea of the circle wholly into place. Though with so many laid out next to each other, I always want to hop onto the stones instead of the path. The adult in me stays on the path, though the kid in me is leaping from stone to stone playing the imaginary game that I seem to understand will take me on to an adventure and back again. I’ve hosted a number of programs at this location, and can’t think why I haven’t yet created a game out of the experience? I imagine it would be both educational and playful. 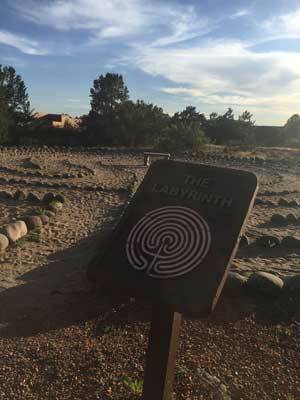 The labyrinth brings me wonderful inspirations for writing projects and ways to make multimedia art. I get ideas for places I want to visit, and adventures I want to have. The labyrinth can be a crucible for ideas of change, of adventure. I never know what I will experience when I walk in, because every walk brings something different, and when I step outside the circle, I am a new person.